Island Peak derived its very name as” Island Peak” due to its uncanny location of lying at the centre of Chukung valley appearing like and island on the sea of ice. Sandwiched between Amadablam and Lhotse Mountain this exciting peak embellishes the Chukung Glacier. One of the most popular trekking trails in Nepal also known as Imja Tse has been one of the best climbing peaks on the Himalayas. An intimidating trekking destination is the Island Peak. One of the existing trekking peaks in Nepal that can be scaled without being a professional climbing or trekking expert. Island peak provides a wonderful opportunity to climb the Himalayan Summit (6,137m) and also get a fascinating glimpse of Kala Patthar. Island Peak climbing journey commences from the scenic Lukla, following the magnificent trail all along the Dudh Koshi valley. From here the trail passes through Namche and Tengboche and up to the Kala Patthar and Everest Base Camp.The magnificent views from the summit, is rewarding justifying our monumental effort to reach up here. After an ideal and sufficient rest fully revived and acclimatized, we then head up the beautiful Imja Khola valley towards Island Peak. Besides trekking adventure, we also get to witness pristine Sherpa villages and age old monasteries glorifying its existence till date. Recalling our fond memories of the trekking earlier done, we retrace back through Namche to Lukla, and from there on we fly back to Kathmandu. Island Peak Climbing can be attempted by individuals having moderate level of physical fitness and the best time to attempt this wonderful peak climbing circuit is somewhere between March to May and September. Mountain Tiger Nepal has best designed itineraries to place you in one of the exciting mountain peaks with eternal safety and excitement. Day 1 Day 01: Arrival Kathmandu (1,350m/4,428ft). Overnight at Hotel in Kathmandu. After Breakfast we begin our day with a short hard climb to get to the ridge and walk towards Kyanjua. On the way you can have a breathtaking view of Highest Mountain in the world Mt. Everest, Mt. Lhotse, Mt. Nuptse, Mt. Ama Dablam, Thamserku, Kondge and many more mountains. The trail on which we will be following today descends to Fungi Tanga then ascends to Thyangboche through the forest. 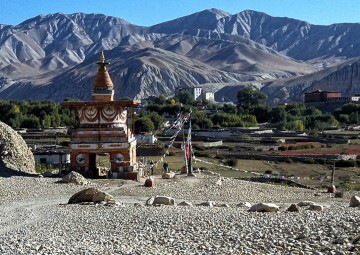 You can visit the Thyangboche monastery in the evening time and stay overnight at the hotel. We climb up to the ridge behind Periche and stay high, mesmerised by the views of Tawoche and Cholatse, until we reach the tea houses at Dughla. A steep, stiff ascent to the terminal moraine of the Khumbu glacier is now tackled. The top of the climb is marked by a series of stone monuments to commemorate some of the climbers that have not returned from expeditions to this region. A rough but obvious trail cuts across left, away from the glacier, to our camp site at Loboje, a windswept collection of huts tucked in a narrow meadow between the glacier and the Loboje Peak (6156m). The Lhotse ridge is simply awesome from this angle. A long day and an early start. We trek along the rough path along the side of the Khumbu glacier to the tea shacks at Gorak Shep. Behind rises the attractive 7000m peak of Pumori which dwarfs our trek’s summit of Kala Pattar. The route up is straightforward and takes most people between 90 minutes and 2 hours. All the peaks – Everest, Lhotse, Nuptse, Changtse, Ama Dablam and scores of other lesser peaks can be seen from this wonderful vantage point. The trail from Lobuche follows the grassy ablation valley with great views of Pumori then crosses a tributary glacier to reach the dry lakebed of Gorak Shep. We then climb the 5545m Kala Pattar for incredible views of Everest and Everest Base Camp. 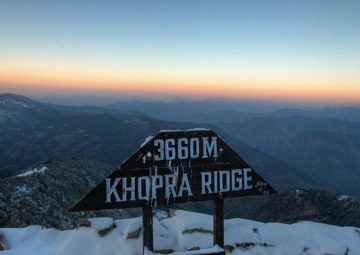 After an hour excursion, we descend to Gorakshep for the overnight. We begin our trek to Everest Base Camp through Gorak Shep Lake. We reach at Indian mountaineers memorials. The path here is tricky so we have to follow our Sherpa. As go on through rocky dunes, moraine and streams we reach Everest Base Camp. We get views of Nuptse, Khhumbuste and Pumori from here. We go up to the Everest Base Camp and return trek to Dingboche for overnight stay. The next part of our adventure brings over craggy mountain terrain to Lobuche, a small settlement with amazing views of Mt. Lobuche, Mt. Pumari and the Nuptse. Prepare to snuggle up for a cold night, as we are now almost three miles above sea level and the evenings can be downright chilly! Day 11 Day 11: Chhukung to Island Peak Base Camp (5,200m/17,060ft): 3-4 hours. Overnight Tented Camp. 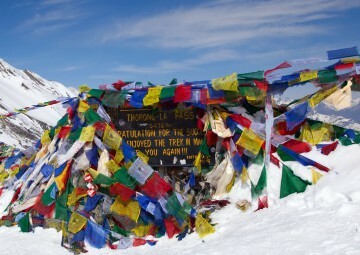 Day 13 Day 13: Island Peak Base Camp to Summit and back to Base Camp (5,600m/18,372ft) 10-12 hours. Overnight at Tented Camp. Down jacket, sleeping bag, trekking map. (down jacket and sleeping bag are to be returned after trip completion). Airfare to Travel from Kathmandu to Lukla & Lukla to Kathmandu:USD 330 per person, which is subject to change without prior notice by the airlines. Life Insurance, Medical Insurance, Heli Insurance of Guide and Porter USD 1500. Island Peak Climbing fee: USD 250 per person for foreigner, Indian and Nepalese Nationals.